Not only the world’s smallest continent but also its largest island, Australia is renowned for its multicultural cities, inspiring gastronomy and legendary “Dreamtime” stories. If you’re looking to explore the great outdoors and some of the world’s most breathtaking natural wonders, you’ve also come to the right place. With starkly contrasted landscapes and a wild beauty, the country offers no shortage of inspiration. Need some help planning your Australian adventure? Here are 10 of the top natural destinations not to miss. Boasting unique ecosystems that are found nowhere else on Earth, the Tarkine is a temperate rainforest bordering a stunning stretch of coast in Tasmania’s northwest. Step into this fairytale-like landscape to discover its ancient plants and come face-to-face with the island’s iconic Tasmanian Devil. You can set up in one of the rustic campgrounds or experience the Tarkine with all your creature comforts at the luxury eco-lodge. 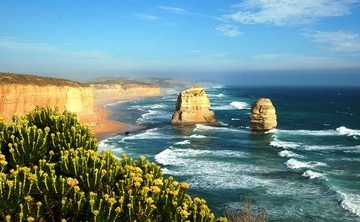 Hugging Victoria’s southern coastline as it meanders west from Melbourne, the Great Ocean Road is one of Australia’s most spectacular scenic drives. It winds between protected tracts of rainforest and dramatic coastal cliffs that back white sandy beaches famed for their surf. While the 150-mile journey can easily be done in a day, this route is one that’s best savored over a few, with time to hike, swim and revel in the natural beauty. While South Australia isn’t high on the go-to list for many international travelers, there are plenty of reasons to visit. Aside from outstanding wine regions and picture-perfect stretches of coast, it’s home to the ruggedly beautiful Flinders Rangers. This 540-million-year-old landscape offers a glimpse of the Outback, with gnarled gum trees and fiery red cliffs that can be explored on guided treks, as well as rustic farm stations that have now been converted into boutique accommodation. This lush tract of tropical rainforest nestles in Far North Queensland, just a short drive from the idyllic beaches surrounding Cairns. It’s renowned for its staggering diversity of plants and animals (including the prehistoric Cassowary bird), as well as magnificent hiking trails that lead to waterfalls and sparkling streams. 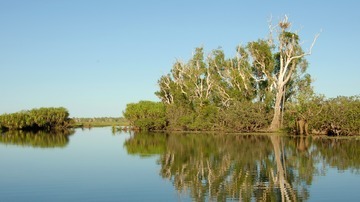 Join an Aboriginal cultural tour to gain an insight into the indigenous history of the region or witness the fierce jaws of crocodiles in action on a guided boat cruise. 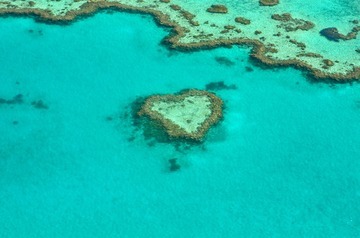 Stretching 1,400 miles along the northeast coast of Australia, the Great Barrier Reef is the largest of its kind in the world. It’s a magnificent world both above and below the water’s surface, with idyllic islands, colorful coral reefs and marine life of astonishing diversity. Whether you want to go scuba diving and snorkeling or prefer to sail between its more than 900 islands, this UNESCO World Heritage Site won’t disappoint. Another of Australia’s UNESCO World Heritage Sites, Kakadu National Park has been home to Australia’s indigenous people for more than 65,000 years. It features breathtaking waterfalls, bird-filled billabongs and rivers teeming with crocodiles that transform dramatically between the “wet” and “dry” seasons. Kakadu can be explored independently or on guided, multi-day tours to discover its ancient “Dreamtime” history. 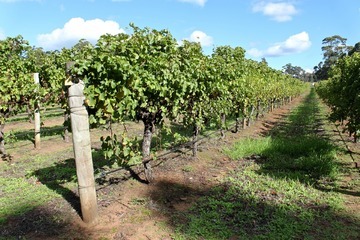 In the far southwest of Australia lies one of the country’s most spectacular gastronomic regions - Margaret River. Rolling hills blanketed in vineyards and wildflowers meet powdery white beaches and the rugged cliffs that back Western Australia’s best surf breaks. Margaret River is the epitome of Australia’s laid-back lifestyle, with lazy days spent enjoying the sun, surf and finer things in life. Lord Howe might only be a short flight from Sydney but it feels a world away, with this remote (and UNESCO-listed) island an untouched paradise. With stunning mountains and breathtaking beaches to explore, it’s an outdoor enthusiast’s playground and home to highly unique flora and fauna that have evolved over centuries of isolation. Limited tourist numbers keep Lord Howe Island in its blissfully undeveloped state while protecting the surrounding waters of what is the world’s southernmost reef. 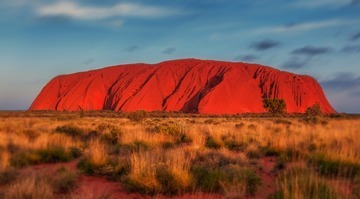 Also known as Ayer’s Rock, this red-hued inselberg is one of Australia’s most famous landmarks and plays a significant role in Aboriginal “Dreamtime” culture. Aside from watching the day’s first rays illuminate this iconic rock formation, you can join a guided walk around the base with an indigenous guide or trek through the nearby King’s Canyon, then experience the award-winning Sounds of Silence dinner under the stars. 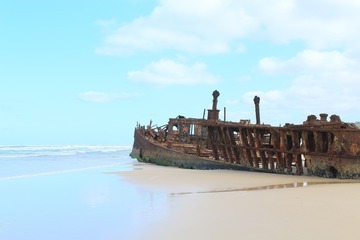 The world’s largest sand island, Fraser Island is an easy getaway just north of Brisbane and one of Australia’s most popular eco-tourism destinations. It’s covered by an ancient rainforest that’s ringed by idyllic beaches and dotted with sparkling freshwater lakes. You can hire a 4x4 to explore its spectacular sand formations and shipwrecks at your leisure while encountering the island’s rare flora and fauna.